Joining a gym can be a good way to get your fit body. But some time it can be a bit boring, it's too expensive and not motivational enough for you. Now you can try these cheap and fun gym-free activities to improve your health and fitness. Also you can enjoy the sun and the good weather outside the gym. Dancing is a whole-body workout that's actually fun. 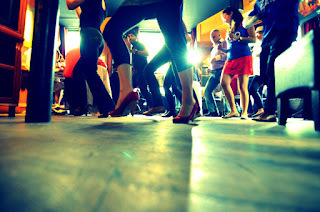 30-minute dance class burns between 130 and 250 calories, about the same as jogging. So choose your favorite dance song and start moving. 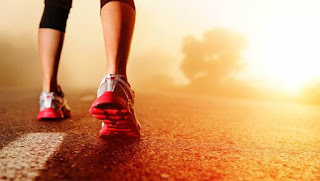 Walking is an easy way to stay in shape because it requires only a pair of supportive shoes and it's something you can do pretty much anywhere. Walking stimulates the cardiovascular system (heart, lungs and circulation). It also boosts the endurance of the lower muscles, including the legs and hips. The average person can burn up to 400 calories by walking 10,000 steps in a single day. Get yourself a pedometer and give it a go. Cycling is an aerobic exercise and works your lower body and cardiovascular system. Start slowly and increase your cycling sessions gradually. As with jogging or walking, you can make it a social activity by riding with friends. The key to turning your cleaning activities into a workout is focusing on the ones that have the highest calorie burn, like scrubbing the tub or vacuuming. To get yourself in the right mindset, throw on your sneakers and put on some upbeat music. If you want a real challenge, do some push-ups or squats every time a new song starts to play.